"World War III" is a loaded term (as are many historical references). It assumes that these tragic mass murders that humanity calls war, are isolated events with distinct beginnings and ends. This kind of over simplification obscures the multi-generational chain reactions that lead up to that moment when swords are drawn or missiles fly. Of course, there is another reason that the public is rarely conscious of these chain reactions. The ruling classes learned long ago that the best way to take a nation to war, is to trick them into it. Vietnam was an extension of the Cold War, which was an extension of World War II, which was a direct result of the terms imposed on Germany following World War I. 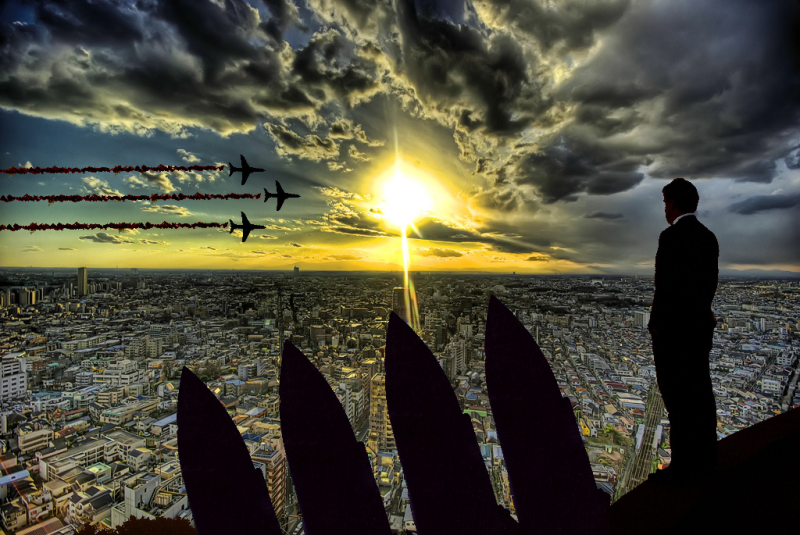 This multifaceted conflict that is unfolding right now between the declining powers of the West and geopolitical and economic upstarts from the East may not end up being labeled as "World War III" in the history books. Perhaps they'll continue to label each phase with a catchy name, like "Operation Baltic Freedom" or "Operation Siberian Storm". Whatever. On the other hand, if someone does something stupid, history books may not make it through the aftermath at all. Of course I would never insinuate that the United States government would ever do anything stupid. It's not like the country is run by a gaggle of war mongering imbeciles. Well, actually, I suppose that depends on how you define the word "imbecile". Congress did just pass Resolution 758, and the "The Ukraine Freedom Support Act of 2014" which lay the foundation for open and direct conflict between the U.S. and Russia (the law provides for lethal aid to Kiev), more sanctions are on the table, and of course if you've been paying attention you might have noticed that Washington is playing a game of high stakes chicken with oil prices, with a little help from our good friends the Saudis. All the while playing hardball with China in South East Asia, and ramping up production of nuclear weapons while their puppets in Kiev continue to shell civilians in eastern Ukraine. What could possibly go wrong? Heading into 2015, it may have appeared that we were having something of a calm before the storm, but that was an illusion (created by selective reporting). This war is already hot on multiple fronts. It has been for years. All it takes is one stupid move for proxy wars to cut out the middle man, and then all bets are off. To even consider a direct military confrontation between the U.S. and Russia is insane. The consequences would be nothing short of unthinkable. Yet, humanity seems to be sleepwalking right into that very scenario. Could we as a people stop this? Of course we could. These so called rulers don't actually have power, they just have your obedience. Will you withdraw that obedience, on time, or will you continue to allow yourself to be distracted by bread, circuses, and pointless bickering? If you were planning on shifting gears, now would be the time to do it. In historical terms these are the final seconds of the 11th hour, and the clock is ticking.